We all know that social media is a great way to promote yourself and spread your business’ message across the web. For e-commerce stores, a few social shares can quickly snowball into unbelievable success. Unlike, brick and mortar stores, e-commerce has the benefit of being available 24/7. Whether your customers are shopping on a holiday or at 2 AM, the store is open for business. But this accessibility is a 2-way street; your customers can shop anytime, but they can also send feedback and share comments at all hours of the day. This problem is amplified if your e-commerce has a social media account on Facebook, Twitter, YouTube and Pinterest. In that case, your business is exposed to an entire planet of opinion. Having a comments section can provide a number of benefits, but also can come with a lot of headache for a business owner. Believe it or not many businesses have been brought to their knees after a barrage of negative feedback, broken down/shut down as a result of a huge number of negative comments by their consumers. By taking the time to read your customers' feedback, you’ll better understand what people like and dislike about your organization. Getting positive and happy comments? That’s great, keep it up and don’t get lazy. If you are getting negative comments, think about the issues that your customers have and do you best to alleviate those pain points. As Roy L. Smith said, “The successful man is the one who finds out what is the matter with his business before his competitors do." When you take the time to respond to your customer’s feedback (especially the negative feedback) it helps builds a strong relationship between you and your customers. They feel important and part of your business. 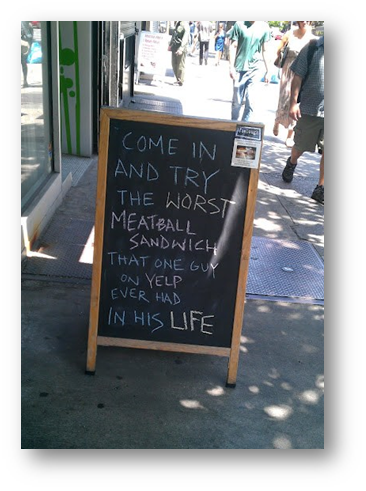 This leads higher customer loyalty and can even lead to word of mouth recommendations (see below). Responding to comments (both negative and positive) should be part of your overall business strategy. Doing so demonstrates that you are involved with your business and care about the feedback you receive. Sometimes, a well thought out response can take a harsh and angry comment and turn it into a viral publicity stunt that shows off your business. So the question is… how should you respond to comments? There is nothing better than receiving a little positive feedback. This means you’re doing something right but you shouldn’t just sit back and revel in your own awesomeness. Instead, share the love! Taking a couple minutes to send a quick thank you will do wonders for your brand. If you have a core customer base who have stayed loyal or are providing consistent good feedback, don’t be afraid to send them a free sample or two; we promise you it will pay off big time. These can be a little trickier… If you’re a normal human being, these comments will hurt. It’s no secret the internet can be a mean place, but even in the face of a truly scathing comment remember this; kill em with kindness. Tackle each negative comment as they come in and sift through the anger to find the truly valuable feedback. If a negative commenter has a point, let your customers know that you are sorry and that you are doing your best to find a solution. But don’t leave it there, the best business will find a way to make their customer happy. So find that solution, share it with the upset consumer, and reply to the original comment to left future customers know you are there to support them. BONUS: As with a good customer who sends love, sometimes a free sample or two can help sway the opinion of a once scorned customer. Giving away a little something for free can often save even the most tarnished relationships. Finally, if you feel you’re being trolled or that a customer truly isn’t being reasonable, try to handle the situation with humor. If you’re doing a good job your customer base should stick up for you and help deal with someone who is trying to mess with you.